Jennifer Zhu Scott is the co-founder and principal of Radian Blockchain Ventures and Radian Partners, a private investment firm for family offices and UHNWIs focusing on Artificial Intelligence, the Blockchain, and renewable energy. Prior, she was head of business development and strategy in APAC for Thomson Reuters and led the firm’s speech-to-text, deep search, video-indexing projects. She co-founded one of the first education companies in China and exited before moving to the UK as a senior advisor to the education subsidiary of Daily Mail & General Trust. Malala Yousafzai is a Pakistani education advocate who, at the age of 17, became the youngest person to win the Nobel Peace Prize after surviving an assassination attempt by the Taliban. Born on July 12, 1997, Yousafzai became an advocate for girls’ education when she herself was still a child, which resulted in the Taliban issuing a death threat against her. On October 9, 2012, a gunman shot Malala when she was traveling home from school. She survived and has continued to speak out on the importance of education. In 2013, she gave a speech to the United Nations and published her first book, I Am Malala. In 2014, she won the Nobel Peace Prize. Dr. Keyu Jin is a Professor in the Economics Department at the London School of Economics (LSE) in London, and an advisor to the Chinese Government’s National Development and Reform Commission (NRDC) in Beijing. Keyu specialises in international macroeconomics, international finance, and the Chinese economy, and focuses her research on global imbalances and global asset prices, as well as international trade and growth. This research is tightly linked to examining various economic issues in China, with a particular interest in patterns of savings across different generations of consumers. Bronwen Maddox is the Director of the Institute For Government, a post she took up in September 2016. Prior to this appointment, she was Editor and Chief Executive of Prospect magazine, a leading current affairs and culture title based in the UK, from 2010 to 2016. Upon becoming editor in 2010, she was responsible for a dramatic improvement in its finances and its international expansion. Renowned for her incisive analysis and crisp style, she has a reputation for not being afraid to reach a judgment on the day’s events. She is the author of Susan David, Ph.D. is one of the world’s leading management thinkers and an award-winning Harvard Medical School psychologist. Her new #1 Wall Street Journal bestselling book, Emotional Agility and based on the “In Defence of America” (2009), a book arguing the case for supporting the US after the Iraq war. the Year, describes the psychological skills critical to thriving in times of complexity and change. She is a frequent contributor to the Harvard Business Review, New York Times, Washington Post, Wall Street Journal, and guest on national radio and television. Named on the Thinkers50 list of people shaping the future of organisations and management, Susan is a sought-after keynote speaker and consultant, with clients that include the World Economic Forum, EY, United Nations, Google, Microsoft, NASDAQ, and many other national and multinational organisations. Her focus is on defining and executing effective strategy, especially in the areas of engagement, high-performance leadership, and culture change. Susan is the CEO of Evidence Based Psychology, on the faculty at Harvard Medical School, a Cofounder of the Institute of Coaching (a Harvard Medical School/McLean affiliate), and on the Scientific Advisory Boards of Thrive Global and Virgin Pulse. Susan is also core faculty of the global Homeward Bound, an all-women leadership program that culminates in an expedition to Antarctica and aims at increasing the influence and impact of women in the sciences. Sarah Sands is the current editor of BBC Radio 4’s Today Programme and the former Editor of the London Evening Standard. Sarah initially trained with The Sevenoaks Chronicle before moving to the Evening Standard, firstly as Editor of the Londoner’s diary before taking further posts as Features Editor and Associate Editor. 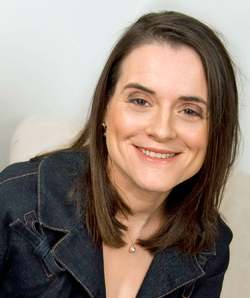 She joined the The Daily Telegraph in 1996 as Deputy Editor under Charles Moore. She later assumed responsibility for the Saturday edition. Her success here led to her being appointed the first female Editor of the Sunday Telegraph in 2005. In February 2009 it was announced that she would be returning to the London Evening Standard as Deputy Editor. She took over as Editor three years later after Geordie Greig’s departure. Her time as Editor was one of great success as she led its resurgence and turned the free paper into profit. At the start of 2017, she accepted the opportunity to edit BBC Radio 4’s Today programme; a role she began in May 2017. The former Chancellor George Osborne subsequently took over her role at the Standard. Sarah’s talks revolve around current affairs and politics but also trust in media, a particularly pertinent issue in an era of ‘fake news’. Dido Harding spent seven years as Chief Executive of TalkTalk PLC, Britain’s challenger telecoms company. She oversaw the transformation of the company’s customer service following the demerger from Carphone Warehouse, turning Britain’s most complained about telecoms operator into an award-winning provider. She led the regulatory, political and media campaign for greater competition in the sector, leading to the eventual break-up of BT in 2017. She also led TalkTalk through one Britain’s most high-profile cyber attacks, being praised by a Parliamentary Committee for her transparent and strong crisis leadership. As one of Britain’s most high profile digital leaders, Dido is a regulator commentator on what the digital revolution means for businesses and society and how Britain can become the world’s most inclusive, successful digital economy. Rachel Botsman is the global authority on an explosive new era of trust and technology. An award-winning author, speaker and University of Oxford lecturer, she has contributed to Wired, The Guardian, The Economist, and more. Audiences leave her speaking engagements with a fresh, long-view of how technology is transforming human relationships and what this means for life, work and how we do business. Rachel’s latest book, Who Can You Trust? (Penguin Portfolio, 2017) has revolutionised our perception of trust. She is also the co-author of, What’s Mine is Yours, which defined the theory of collaborative consumption and was named one of TIME’s “Ten Ideas That’ll Change the World”. She currently teaches the world’s first MBA course on the collaborative economy at University of Oxford, Saïd Business School. Lebanese-British lawyer and activist Amal Ramzi Alamuddin Clooney was born in Beirut in February 1978. She was raised in England and studied at Oxford University and NYU before beginning her notable law career. She has also been a part of several United Nations commissions and tribunals. In September 2014 she stepped even Janet Mock is a writer, TV host and advocate whose memoir, Redefining Realness, broke ground as the first biography written from the perspective of a trans girl. It debuted on the New York Times bestsellers list in 2014. Her second book, Surpassing Certainty, a memoir about her twenties, was released in June, 2017 with Atria Books. She is a sought-after speaker who gave a rousing speech at the history-making Women’s March on Washington; an advocate for trans women who founded #GirlsLikeUs and #TransBookDrive; the host of the interview podcast, Never Before, with Lenny Letter; and a contributing editor at Allure, where she writes the column, “Beauty Beyond Binaries.”further into the limelight when she married superstar actor George Clooney. If you would like to book one of our inspirational female speakers please contact us here.